There are so many different brands of ionizers advertising on the internet. They all claim to be the best. How do you work through the maze of information to know which ionizer you should buy? Here are a few guidelines to follow to make things simple and clear. 1. Are you Buying Price or Value? No one wants to spend more than they have to on any product. Since most of us are on a budget, we need to make sure we are getting the best value with every dollar we spend. Unfortunately, many are finding that when they purchase a lower priced item, it comes with many unseen costs while producing little to no benefit. Most people get interested in an ionizer because of results that they or a friend have personally experienced. If those results came off of a certain brand, you may want to stick with that brand. Also, if you spend $1500 for ionizer #1 and $4000 for ionizer #2, which is the better value? Ionizer #1 is definitely cheaper, however, being cheaper and being a good deal aren’t necessarily the same thing. If ionizer #1 lasts 2 years, but ionizer #2 lasts 15 plus years, which machine really is the better value? Are you looking to get the best possible water for the least amount of money or are you just looking to get the cheapest ionizer possible? Who shops for a doctor simply based on price? When it comes to our health, we want the best because we know mistakes cost a lot more in the long run. No one wants to go to the cheapest doctor especially if this doctor has a reputation for not providing answers. To make a mistake with the quality of your ionizer might be one of the more costly mistakes you will ever make. When something is cheaper, it usually means just that – it is cheaper. Ionizers that cost less than $1500 are not worth your money. They are glorified filters. To produce a quality ionizer using medical grade metals cost money. Remember your water is passing over these metals. Do you really want the water that you will be drinking day in and day out to be passing over anything less than the same standards that the Japanese hospitals require? 2. Look for the Oldest Company – the one who has been in the game for almost 40 years. 3. What is the Size of the Electrolysis Unit – The Engine of the Ionizer? The size of the electrolysis unit determines how much water actually gets ionized. When more energy can get into the water because the engine is bigger, the water will be more potent. The more water that gets properly ionized, the more benefits you will receive. So How Do You Determine the Size of the Engine? Every water ionizer has electrode plates made of Titanium covered in Platinum. These plates are where the bulk of the costs are in making the machines. The key in comparing various brands is to compare the Total Surface Area of the plates, not how many plates each machine has. Remember – the greater the Total Surface Area, the more exposure the water will have to the metal. When the water has contact with the metal, energy is transferred to the water producing ionized water. Let me explain. The Enagic SD 501 with 7 plates has a Total Surface Area of 490 sq. inches. The Tyent MMP 9090 Turbo Extreme is advertized as being superior to the SD 501 because it has 2 more plates – a total of 9 plates, but it only has a Total Surface Area of 441 sq. inches. As you can see, even though the Tyent MMP 9090 has more plates, it actually has less surface area to create ionized water. This is a great example of how careful consumers need to be to avoid being mislead by deceptive marketing practices. 4. Who is Going to Service Your Machine? When you purchase your Kangen Water machine from Enagic, you are purchasing from the manufacturer, nor a reseller. (An example of a reseller would be Chanson, Tyent, Pure Pro, and many others.) Why do you want to buy from the manufacturer rather than a middle man? All machines will eventually need servicing. Who is going to be there for you in the long haul to take care of your machine? Many ionizer companies have come and gone over the years. Enagic, on the other hand is a 40 year old growing company with servicing centers all throughout the United States and offices all over the world. 5. Ionizer Review Websites – Are they unbiased? There are many elaborate websites on the internet that appear to provide independent unbiased information about ionizers. For the record, there are NO independent ionizer review sites anywhere on the internet. Every “consumer review” site is actually a marketing site which exists for the sole purpose of selling a particular brand of ionizers. They are very slick sales sites created for the specific purpose to influence your consumer buying decision. If you want to know who the site belongs to, just follow who they promote. 6. Look for a company that does not come out with a new model every year. On the surface this may seem good until you understand what is really going on. The question needs to be asked, “Why make changes year after year if the ionizer is producing the quality of water it needs to produce?” Does the quality of the water actually improve with the new models or are the changes simply marketing ploys put in place to trap the unsuspecting consumer who doesn’t have time to dig into the history of the ionizer industry. 7. Look for key certifications. Ok, this one can be really confusing because every ionizer on the internet has certifications all over their website. How do you know where to begin? First, when you are checking out the certifications on an ionizer’s website, see if the company will provide you a link to the full details of their certifications. If they don’t, a huge red flag should go up. One of the “tricks” that some companies do is to put certifications on their website, however, there is no way to get the actual numbers to verify if the certifications actually exist. Remember, there are no internet police. You can say anything you want on a website. It is up to you to verify what a company says is true. 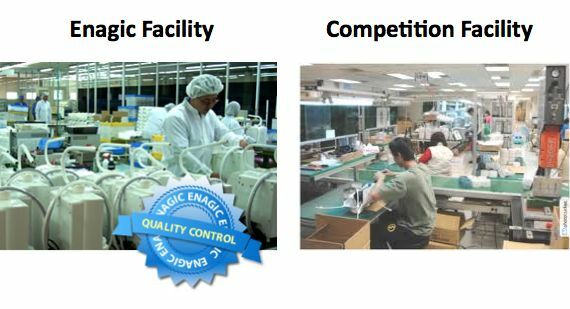 Ask yourself, “What are the certification that the hospitals care about?” All of Enagic’s machines are manufactured under the Medical Device ISO 13485 (International Organization for Standardization). This certification recognizes Enagic’s ionizers to be certified medical devices. No other ionizer in the world currently has this. Also, Enagic’s machines have been approved by the Japanese Association of Preventative Medicine for Adult Diseases. This may not mean much to us as Americans, however, this is one of the largest board of medical doctors in the world. 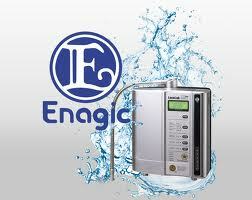 The only ionizers in the world they approve …… are Enagic’s. So, when a company says they have the ISO Medical Device certification and the seal of approval from the Japanese Association of Preventative Medicine for Adult Diseases, don’t take their word for it, make them prove it with documentation that can be verified. This one can be just as tricky to sort through as the medical certifications. First, if a website states that their ionizer has the WQA Gold Seal of Approval, check to make sure it is for the entire ionizer, not just the filter! Also, beware that there is a huge difference between purchasing a membership with the WQA (something that any ionizer company can do) and earning the Gold Seal of Approval which is a very difficult. This process requires detailed inspection of the facility, materials used in the manufacturing process (especially the plates), the ionizer as a final product and the quality of the water produced by the ionizer. All of these details have to pass the highest standards in order to receive the WQA Gold Seal of Approval. 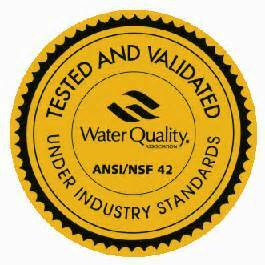 Enagic is the only ionizer manufacturer in the world that has earned and received the WQA Gold Seal Certification. Health inspectors in the US recognize the significance of this certification. Because of this approval, Enagic’s machines can be used in any commercial kitchen. 8. Look for the research being done on the machine you are buying! If the company quotes research, ask them if this research was done using the brand of ionizer they represent. If you are looking for research to substantiate the validity of ionizers to improve health, then you want to make sure you purchase an ionizer of the same quality that was used in the research trials. 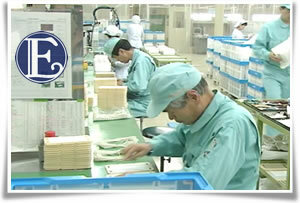 Since Enagic’s machines are used in the Japanese hospitals, their machines have been used in research in Japan. We recognize that all brands of cars aren’t the same, all refrigerators aren’t the same, all computers aren’t the same – why should we believe that all ionizers produce the same quality of water? To view a comparison chart, click on the following link. Here are two different testimonials from doctors who purchased a number of different machines. Having done much research into ionizers I do appreciate your content and letting those folks who are interested in buying an ionizer know what exactly to look for. There are so many untruths and outright lies on the internet, keep the truth flowing far and wide. Thank you, Harriette. There is so much information on the internet. It can be an overwhelming task to figure out what is true, what is misleading, and what is just downright wrong. My desire is to give people facts so they can confidently know which ionizer really is the best value. So glad to hear that the information was helpful! I’ve tried to sum things up so people can more clearly understand the ionizer industry. Always allow the machine to clean itself after making strong acidic water to prevent this highly acidic substance from soaking on the Kangen plates. Yes, keeping the plates on the machines super clean is vital in order for the machine to produce the best water. 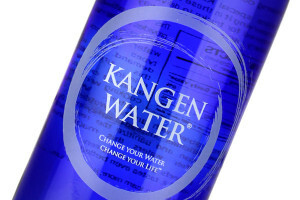 This is one of the things I love about the Kangen Water community – our desire to help educate!